Details of the very early days of theatre activity can be found in Ms. McPhie’s useful essay as she traces the history through Glendon’s Drama Club (with its regular guest teachers like George Luscombe of Toronto Workshop Productions and playwright Jack Winter). Luscombe and Globe and Mail theatre critic Herbert Whittaker were part of an early committee to help create a Theatre Department per se at York and both were involved in designing one of the York campus’s first large spaces, Burton Auditorium, originally created as a kind of copy of the Stratford Festival’s main stage (thrust, balcony et al). Compromises early on pushed Burton toward also being a large lecture hall. When it finally opened in the mid-60s, the rake of the auditorium was far too steep and the balcony made it useless for anything but Greek and Elizabethan Drama. The first active theatre group on the Keele campus was called the York University Players and through the 1960s it staged a number of large-scale productions each year ranging from Alfred Jarry’s avant garde classic Ubu Roi to American Archibald Macleish’s retelling of the Book of Job under the title JB. YUP also staged regular cabaret and musical performances. For the record, JB starred a student actor named John Innes who would later join the Stratford Festival company where he managed to have a long and generally successful career. “In August 1969,” according to McPhie, “the new Department of Theatre (then called the Theatre Program) officially arrived” and YUP pretty much ceased operations as did a student theatre group at Atkinson under Prof. Matt Ahearn called the New World Players. By 1976, neither group was any longer in operation. By that time, the Theatre Department was in full swing and was utilizing every available facility on the campus (at one point it was using 13 spaces in six different buildings). For the record, when the Department of Theatre began in 1969, it had five faculty members – Joseph G. Green (its first Chair), Don Rubin (its first faculty hire in Theatre Studies, then called Drama Studies), Joe Glosson as Technical Director and Sandy Black and David Harris as its first acting teachers. 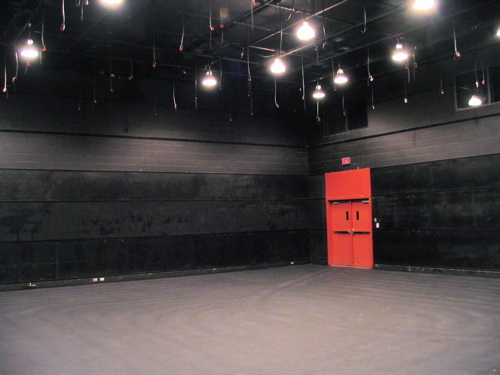 It is in recognition of Green’s long tenure at York as first Chair (then Associate Dean of AMPD, then Dean of AMPD) that the department’s most used performance space, the black box studio in CFT, is today known as the Joe Green Theatre. Students in the early days entered directly into their areas of specialization: performance, production/design and drama studies. Within two years, the number of faculty and courses grew significantly to 30 in all (six in performance, eight in production and 16 in drama studies) including one of the country’s first courses in Canadian theatre then taught by new faculty member Mavor Moore (the power behind the creation of the Charlottetown Festival and the St.Lawrence Centre in Toronto). By 1979, Drama Studies had become Theatre Studies and the number of courses across the board had grown to over 60 with more than 20 full-time faculty. At that point the department curriculum was revised somewhat to allow a core first year program in which everyone took pretty much the same first-year courses and specialization didn’t occur until year two. An MFA graduate program in Performance was added in 1975 under the direction of experimental director John Juliani of Vancouver but was suspended after two years for a variety of reasons including insufficient funding. The MFA was re-established in 1980 under the direction of internationally-recognised voice coach David Smukler and actress Michelle Collison George who had achieved fame as a member of Peter Brook’s CIRT company in Paris. The performance-based MFA has been going ever since. In 2007, an MA and PhD in Theatre Studies was added to the mix, the new programs put in motion by Profs. Christopher Innes of the Department of English and Don Rubin from Theatre Studies, its first Graduate Program Director. 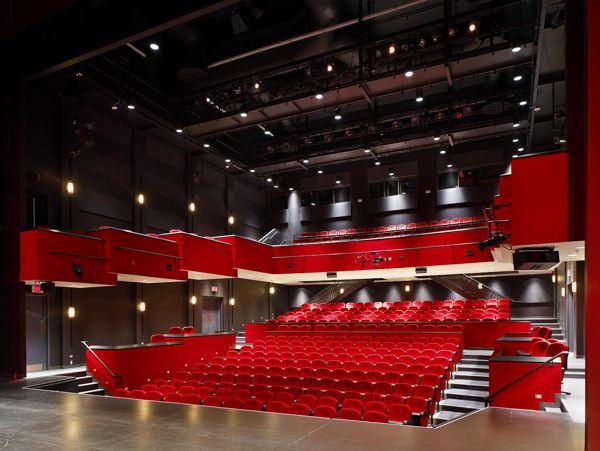 Now in its fifth decade of operation, the Department of Theatre has staged an average of three major productions each year (pushing toward 150 in total) as well as innumerable small productions in a variety of spaces that have ranged from the 613 seat Burton thrust stage (now under renovation) to the 100+ seat Joe Green black box theatre to the impressive 300 seat proscenium space, the Sandra Faire and Ivan Fecan Theatre in Accolade East. Of those many productions, Shakespeare has been the most often performed author. Again for the record, the very first official department production was two one-acts by Tennessee Williams directed by Joe Green (27 Wagons Full of Cotton and This Property Is Condemned) back in November of 1969 with student actor Michael Burgess. Burgess would later go on to a huge career as a musical theatre performer starring in productions including Les Miz at the Royal Alex. One of the first large-scale productions was Lysistrata directed by Robert Benedetti in 1970. Among students of note coming from those early years are actress and teacher Rosemarie Dunsmore, theatre studies grad Richard Rose (now Artistic Director of the Tarragon Theatre), Sky Gilbert (playwright and founder of Canada’s foremost LGBT theatre, Buddies in Bad Times), theatre critic Mira Friedlander (a regular reviewer for both the Toronto Star and the Globe and Mail), CBC announcer and former Stratford actress Barbara Budd, Liz Bradley (former head of theatre at Carnegie Mellon and now head of the Tisch Shool of the Arts at NYU), Katherine Kaszas (former director of the Blyth Festval), Hollywood actress Rachel McAdams, Factory Theatre General Manager Sara Meurling, 680 Radio arts reporter Gloria (Zamon) Martin, Young People’s Theatre Executive Director Nancy Webster, Artistic Director of English Theatre at the National Arts Centre Jillian Keiley, Shaw Festival Publicist Jennifer Anand, Dora award-winning playwright Anusree Roy, dramaturg Tanya Palmer of Chicago’s Goodman Theatre, Soulpepper Artistic Director Albert Shultz, scholar Alan Filewod and numerous others in every area of theatrical endeavor. The fact is, you’ll find our grads everywhere from theatre and public relations to law, psychology and even religion (theatre is great training for the cloth). And, of course, you will find our grads teaching in high schools and universities from one end of the country to the other including here in our own department. That’s right, some of our current faculty are actually Theatre Department grads. Look around. The people you see could be one of those people really soon. Look in the mirror. One of those people could actually be you.